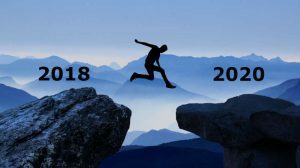 Home Latest News ERP Workday results, renewed acceleration in 2020? Workday results, renewed acceleration in 2020? 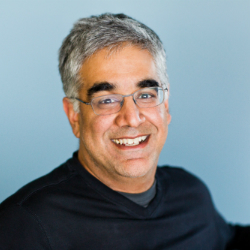 Workday announced its Q4 earnings and fiscal year 2018 revenues. The underlying share price has climbed over the last three months. The recent dip in share price is due more to the underlying fall across stocks rather than any reaction to the results. Is the future looking as good as Bhusri indicates? In a word, yes. Workday continues to penetrate the Fortune 500 market, the domain of companies such as Oracle and SAP. It is replacing older legacy software with its cloud solutions. HCM is still the flagship product with Bhusri announcing it added nine Fortune 500 customers, five of which were from the Fortune 50. These include: Home Depot, Banco Santander, General Electric, PNC Bank, Chevron U.S.A. and Telstra. In some ways this is business as usual. However, the financial management customers are up 45% from last year. The company added 58 customers in the fourth quarter alone according to Bhusri. That growth is important for Workday to sustain. It demonstrates a growing belief that Workday can offer the solution to large enterprises. This also may show that larger enterprises are no longer looking for a single giant ERP solution but rather a mix of best of breed cloud solutions. Among the companies won are American Family Mutual Insurance and Quicken Loans. Its Financial Planning software, launched in 2016 is also accelerating its growth with 250 of its 450 Financial management customers adopting the new solution. Its latest product, Prism Analytics, is also doing well with 45 customers already. Looking ahead, Robynne D Sisco, CFO Workday announced that growth is likely to slow down a little dropping below 30% for the first time. For Q1 fiscal year 2019 it expects revenues of between $514-$516 million and for the full year $2.265 billion to $2.280 billion. The later is a growth of 27%-28%. “We’re still in the mode of early adopter work with our customers and exploring what they can do with the Workday Cloud Platform. And the takeaway so far is there are lot more use cases and ideas than we had ever expected. By the time that we’re together in six months for, or a little bit more than six months for Workday Rising, you’ll see a more deliberate step forward on how we’re going to open it up with business partners. And that’s consistent with what we said at the last Rising; we were going to be in early adopter mode. Workday is continuing to do well. However, its competitors are reacting and narrowing the gap. The slowdown in growth is an indication of that, though not the only reason. The other is merely a mathematical calculation. For Workday, the platform cannot come soon enough. However, it is unlikely to affect fiscal 2019 figures by much. Fiscal 2020 could be a far better year if the promise of the applications is born out. Workday Rising later this year should reveal more about how comprehensive the Workday platform is. Also how many apps it will have on its marketplace and what they are. If they are merely point solutions to extend functionality they will not be as important as having some strong vertical software partners fully integrated.